But blood pressure reduction can be too much of a good thing. For example, when patients with diabetes receive overly aggressive blood pressure treatment, the harms of that treatment — the side effects of low blood pressure — loom larger than the potential benefits. And I’m not talking just side effects like feeling a little bit fatigued from taking the pill. Aggressive blood pressure treatment can increase the risk of hazardous falls, for example. Consequently, physicians sometimes need to take their foot off the gas and reduce the intensity of patients’ blood pressure medications. Unfortunately, a study from JAMA Internal Medicine shows that doctors frequently have difficulty backing off. The study looked at diabetes patients and assessed whether doctors reduced the intensity of hypertension treatments when people’s blood pressure dropped below recognized thresholds. 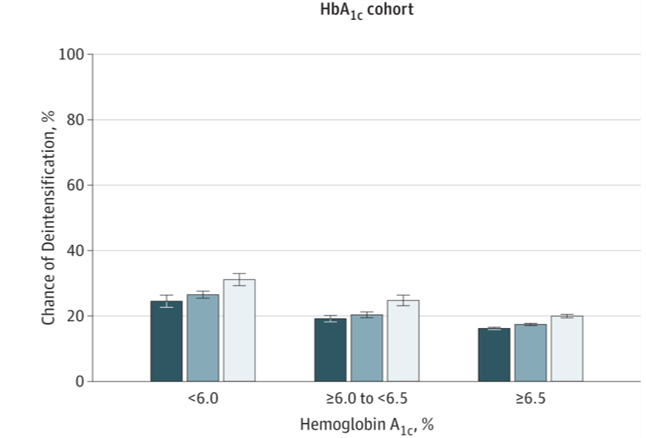 They also looked at whether doctors reduced the intensity of patients’ diabetes medications when their blood sugar levels — their A1C results — got worrisomely low. In looking at how aggressively doctors treated patients, the researchers also estimated how long patients had to live, based on their age and how sick they were. 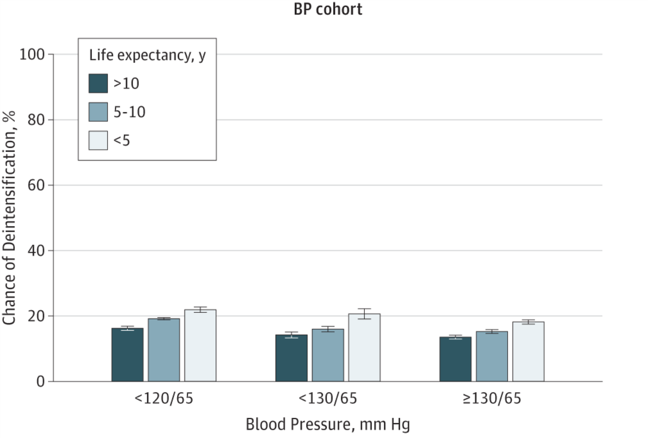 They estimated this because someone in the last, say, five years of his life is not going to get much benefit from aggressive blood pressure or diabetes control, because of the benefits of such control (versus more moderate control) accrue over many years, while the harms, the side effects, happen much more quickly. We all need to remember that too much medical care is a bad thing. When health care interventions work, they sometimes work too well. We have to know when to start people on medications, and when to take them off.